So how do you get people to see you as “normal”? Well my approach was to take part in as many things as I possibly could, even if I hated it! Things like school sports days and galas where my absolute worst, but would give the few events I was in 150%, every time. I always came stone last, but that wasn’t the point, I was sick and had done what the “normal” kids had. As time went on, I had to stop taking part in the sporting events at school, my body couldn’t cope. So I had to find another way to seem “normal” and be accepted. This constant quest to be accepted by society is not a new one, but it is that much more acute for people like us, who are sick and just want to do the sorts of things others take for granted. Mundane things like being able to wash and dry your own hair, be able to go grocery shopping, not have to fight with tubes to get dressed, have the energy to go to lunch with some friends. These are the things that the world sees as “normal”, everyday life. But for us, those are the things we look forward to; the day we aren’t in a wheelchair, the day we can grow our hair, the day we can be at home, or even out somewhere, with our friends. Perhaps today is not that day for you, but it is a day that you are still alive, a day that you are breathing and your heart is beating. Make the most of this day, even if you feel terrible. I can’t tell you how to make the most of your day, it’s your day, you need to find the goodness where you can and be determined to make it a great day. I managed, unexpectedly, to turn one of my potentially horrible days into one of the best days of my life! I woke up still feeling weak and tired. I had been in bed, on oxygen for days and was so frustrated at having to be in bed, looking at the same 4 walls for yet another day. If I didn’t get out of the house, I knew I was going to go crazy! My mum was going grocery shopping and so in desperate need for a change of scenery I asked her to take me with. Now taking me with was not an easy task. She had to load my wheelchair (she has back problems) into the boot of her car and we didn’t have one of those fancy, lightweight ones. Mine was heavy and a mission to load into anything. But a mother’s love is something to be admired and she loaded my heavy wheelchair into the car, knowing full well that she would have to unload it at the store and reload it again when we left, just so that I could join her. I had been out in my wheelchair a few times, although never to do groceries. I hadn’t even thought about how my poor mum would manage to push me and a grocery trolley around a store. Mum and I faced this dilemma the same way we face everything, with a sense of humour and some creativity! We decided it was best for mum to push me in the wheelchair and for me to “push” the trolley. Can you picture a woman pushing her daughter in a wheelchair, while the daughter sits in the chair pushing a large trolley and both are laughing their heads off? We must’ve looked like we had escaped from the mental asylum! We had a blast whizzing up and down the aisles, grabbing things off the shelves as we sped past. We were going so fast that I even had a little wind in my hair! That really was the fastest and most fun filled grocery shop I’ve ever done in my life! I am one of the lucky ones. I am now classed as “normal”. I am no longer sick and waiting to have the strength to do ordinary, everyday tasks. But I will never again have the fun I did with my mom that day, grocery shopping in a wheelchair! Being sick, especially with a terminal disease, is far from fun. In fact it’s hard and tiring and day after day of feeling dreadful. But isn’t that, along with all your other amazing gifts, what make you the incredible person you are? If you weren’t sick you probably wouldn’t appreciate doing the inane things in life or really understand how precious life is and how much you are truly loved. You are here for a purpose, maybe it’s to show the people around you how to be truly courageous or to teach those you come into contact with that life is a gift and they should love every second they have. Whoever you are, whatever your illness, you are a true life hero and you inspire those around you every day just by the way you live your life and cope with the challenges that come your way. Don’t give up on your passion for life. Be who you were meant to be! Born with a congenital heart disease and Pulmonary Hypertension, Tina B was unable to be normal her entire life. Any kind of physical activity or excursion left her gasping for air and exhausted. 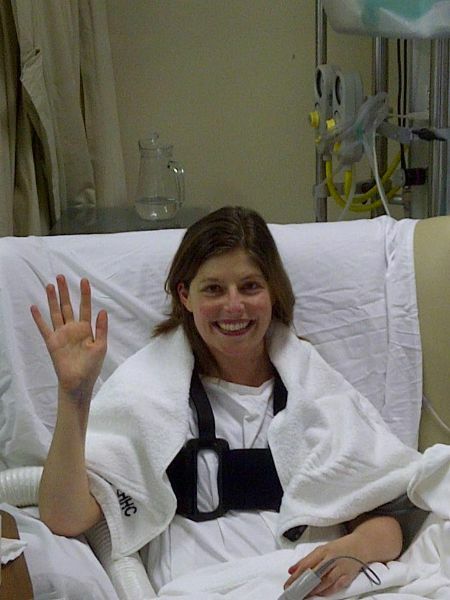 After collapsing at age 13 she was fitted with a lifesaving pacemaker – usually reserved for the elderly. By the time she reached 21, Tina B was starting to take strain and the pacemaker wasn’t helping the way it used to. 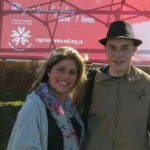 Three months before her 22nd birthday, Tina B had another pacemaker fitted, but was never able to regain the vigour and strength she’d had after the first pacemaker. Her health steadily decreased during her twenties. Finally she was reduced to being on oxygen 90% of the day and slept between 18 and 20 hours. On the days she was strong enough to get out of bed, she was pushed in a wheelchair. 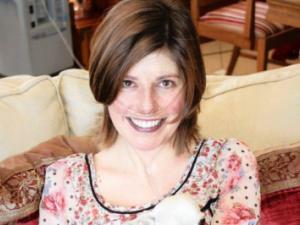 Tina B waited for 2 and a half years to get her life saving transplant. Her transplant and recovery are both an incredible story of hope, strength and courage. She is now leading a normal life and has taken part in her first ever Cape Cycle Tour!